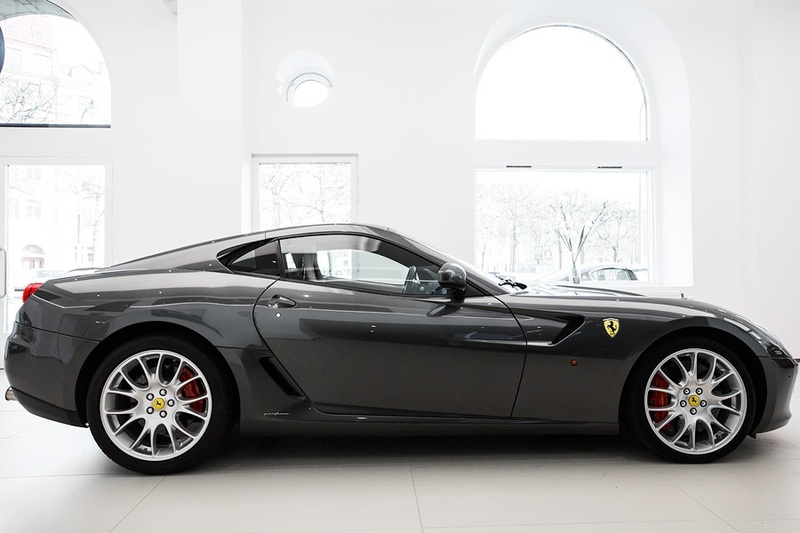 Ferrari 599 GTB F1 Fiorano, first registered in 2007 with only 17200 miles from new and Full Ferrari main dealer service history. 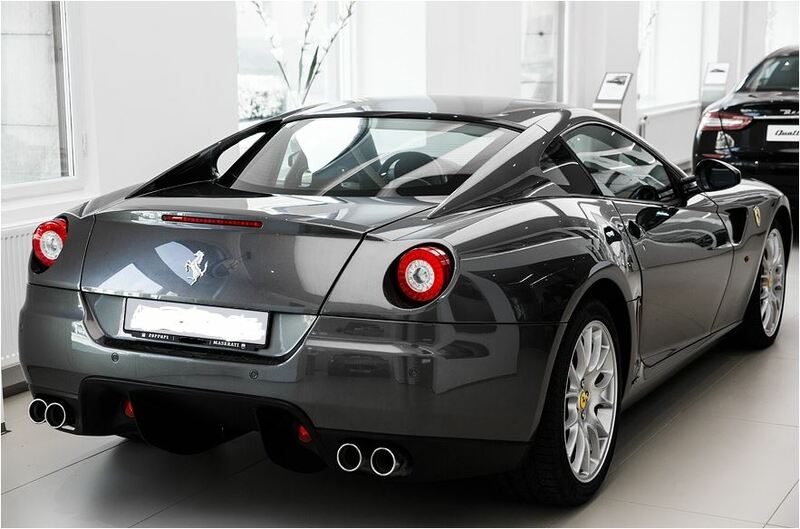 Exceptional..
Grigio Silverstone metallic paintwork with full sand leather interior and beige over mats. 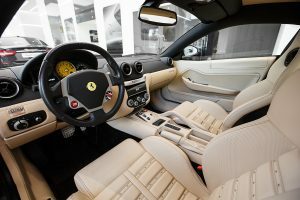 Scuderia wing shields, 20″ Challenge style alloy wheels, red brake calippers, Daytona style electric , premium sound with i pod connection seats, Fiorano pack with sport suspension mode and carbon ceramic brakes. 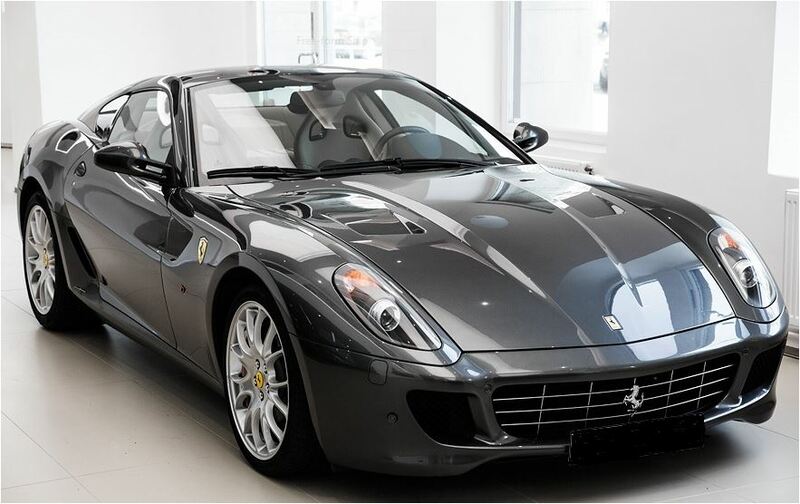 The full name is Ferrari 599 GTB Fiorano HGTE. An upgrade that improves the car’s handling, meaning Handling Gran Turismo Evoluzione, includes a modified set-up with stiffer springs and rear anti-roll bar as well as new calibration settings for the Delphi MagneRide magneto-rheological shock absorbers when the manettino is at its sportier settings. The ride height has also been lowered, which lowers the car’s center of gravity. The package also includes optimised tyres featuring a compound that offers improved grip. The car’s electronics have also changed. The gearbox shifts are faster in high-performance settings, while new engine software improved accelerator response. The exhaust silencer was modified to produce more marked and thrilling sound under hard usage while still delivering just the right comfort levels at cruising speed. 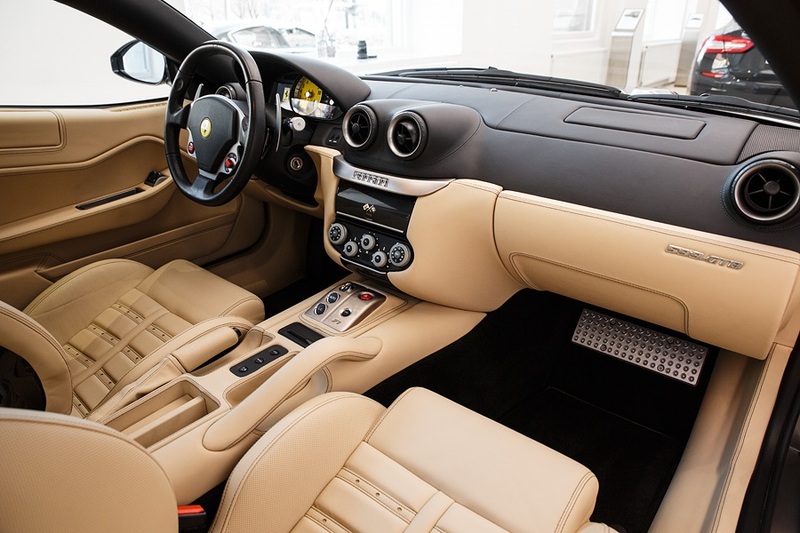 The exterior and interior were upgraded with more carbon fiber components and it also includes new 20-inch wheels. FOR FURTHER INFORMATION, please email exesports@yahoo.co.uk or telephone 07785 355 378 or +44 7785 355 378 from overseas.